Alisa Ottman brings to Novis Consulting over 20 years of Quality Management expertise. Ms. Ottman is a “best practices” expert, a certified CAP laboratory inspector and a lead ISO program certification manager. She has developed quality systems compliant to CLIA, CAP, New York State, FDA and ISO (9002). Alisa has additionally provided regulatory support by obtaining CMS licenses for clients. Alisa routinely works with clients with multi-certification sites and laboratory developed tests. 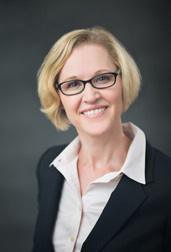 Ms. Ottman graduated with a Bachelor’s of Science in Biology from UC Davis and holds a Master’s degree with honors in Management, Life Sciences from George Mason University. This entry was posted in Associates on November 2, 2016 by David Novis.